This documentary, written and directed by Jon Long (IMAX® Extreme), is a visceral, visual experience told through the eyes some of the brightest pioneers, legends, visionaries and champions of surfing, snowboarding, skiing, skateboarding, mountain biking and more. 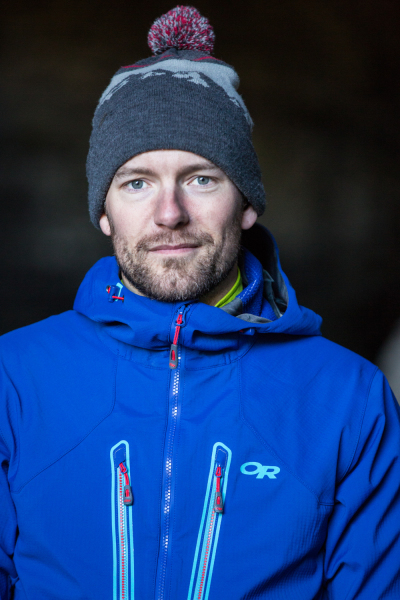 GUEST SPEAKER – GORD MCARTHUR Gord McArthurGord is from Cranbrook BC and competes for Canada on the World Cup Ice Climbing Tour. A photo and video presentation. FERN’S CHALLENGE - Wildsight supporter Fern Marriott challenges you to support the Elk Valley Branch of Wildsight. A documentary of an epic project bringing canoeing to the Amazon. The trials and tribulations of getting canoes there and then canoeing the Alta Madre de Dios river in the Peruvian Amazon. Its a story about effort and life in a isolated part of the world experiencing great change. The lights haven’t gone out yet! Sweetgrass Productions is back with Darklight, a film that takes viewers back into a world of light and color. Follow professional mountain bikers Graham Agassiz, Matt Hunter, and Matty Miles on a mind-bending night ride through the moonscapes of Southern Utah to the Ewok forests of the Pacific Northwest. 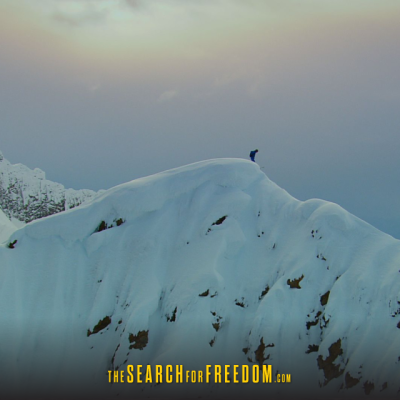 ‘The sound of Silence’ is a film about discovery through disconnecting from day to day information at our fingertips, instant gratification and chaos; It’s a film about adventure in its purest form. Patagonia presents Jumbo Wild – a gripping documentary film by Sweetgrass Productions that tells the true story of the decades-long battle over the future of British Columbia’s iconic Jumbo Valley and highlights the tension between the protection of wilderness and the backcountry experience and ever-increasing development interests in wild places. 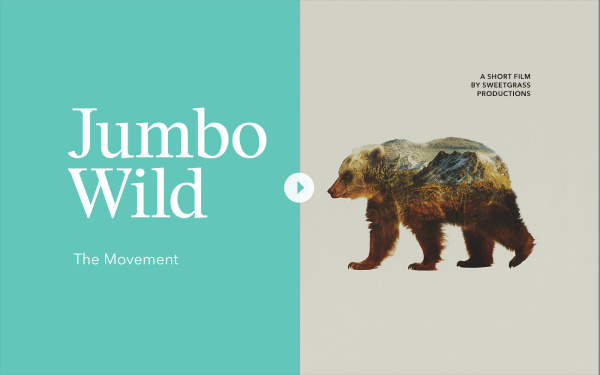 Set against a backdrop of incredible backcountry ski and snowboard footage, Jumbo Wild documents all sides of a divisive issue bringing the passionate local fight to protect the Jumbo Valley to life for the first time. We are raising awareness about our community-based water monitoring program, are launching a crowd source funding campaign with it and it features our amazing streams and rivers of the Elk River Watershed. This film is about the exploration of a remote, unknown watershed in the Kootenay Rockies. A Dream! Skateboard World Champion Patrick Switzer, defies his enemy! Who will win? We are 5 students from Supinfocom, a computer graphics Arles (France) and Ascension is our graduation movie. This short, animated film is a visual wonder, a testament to determination, and a promise of four or five chuckles and maybe a few LOLs. "The first time Frank Sanders saw Devils Tower was in the sudden brilliance of a lightning strike. It sent a wave of anxiety through him, but the next day he climbed The Tower. Forty three years later, he’s repeated that act more than 2,000 times, and learned a thing or two about going up and not growing old."